Our last concert of the season will be Saturday, April 27, at 7:30 pm, and it will be fabulous. Kurt Knecht’s commissioned music will be premièred by UNL musicians, accompanied by videos from the Platte River Time Lapse Project. Louis Spohr’s nonet — a rarity — is also on the program. One more concert this season, and it will be spectacular: The first hearing of a work commissioned by us, accompanied by videos from the Platte River Time-Lapse Project; and a performance of the rarely-heard nonet by Spohr. Join us for an event-filled evening comprised of an informative pre-concert lecture, world-class music, and an intimate reception with food, beverages, and a chance to meet the artists. Jack Creek Snowmelt from Platte Basin Timelapse on Vimeo. Sales of season tickets for 2018–2019 ended. 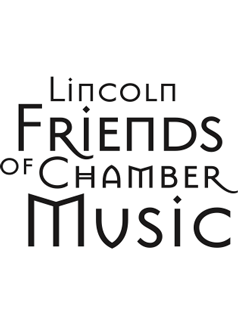 If you enjoy chamber music, there’s no better value than a Lincoln Friends of Chamber Music season ticket, sold until the first concert of the season. Tickets for all performances will also be available the day of the performance, at the the respective venue, beginning at 6:30. Prices for individual concerts are listed at the Lied Center website and on the 2018–2019 Season page on this website. Any remaining tickets can be purchased at the door one hour before each concert. This includes OLLI and NET member single-concert-2-for-1 discounts, which are available for all concerts. Want to see what’s coming up? These world-class artists will have you on the edge of your seat and raving to friends and family for days to come. Some are seasoned groups and some are new, emerging groups. They’re all exceptional. The Nebraska Arts Council, a state agency, has supported these programs through its matching grants program funded by the Nebraska Legislature, the National Endowment for the Arts, and the Nebraska Cultural Endowment. Visit www.nebraskaartscouncil.org for information on how the Nebraska Arts Council can assist your organization, or how you can support the Nebraska Cultural Endowment.